By snorkeling in drysuit you will get protection from the cold water if the fissure as the drysuit is constructed from layers of insulating fabric. However, we always recommend you rather take the wetsuit as you will have so much more fun. 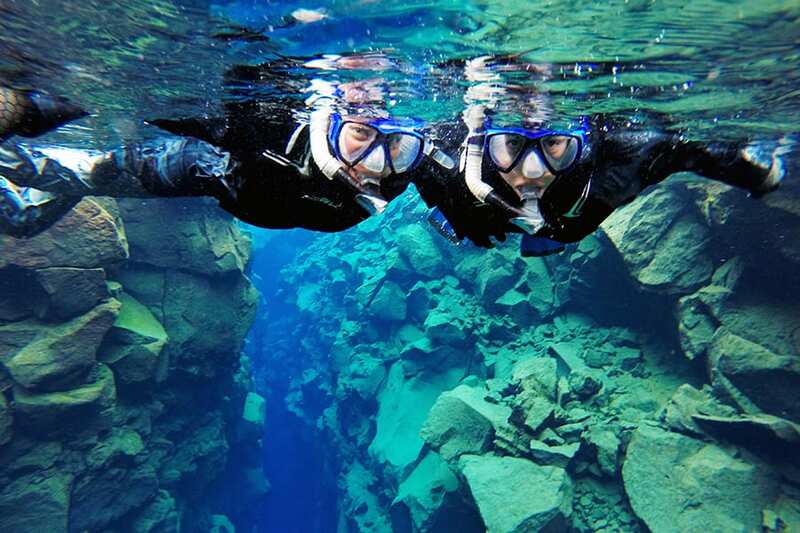 Adventure Vikings is the only Icelandic company that offers wetsuit snorkeling in Silfra and we can assure you that you won’t regret snorkeling in the wetsuit. 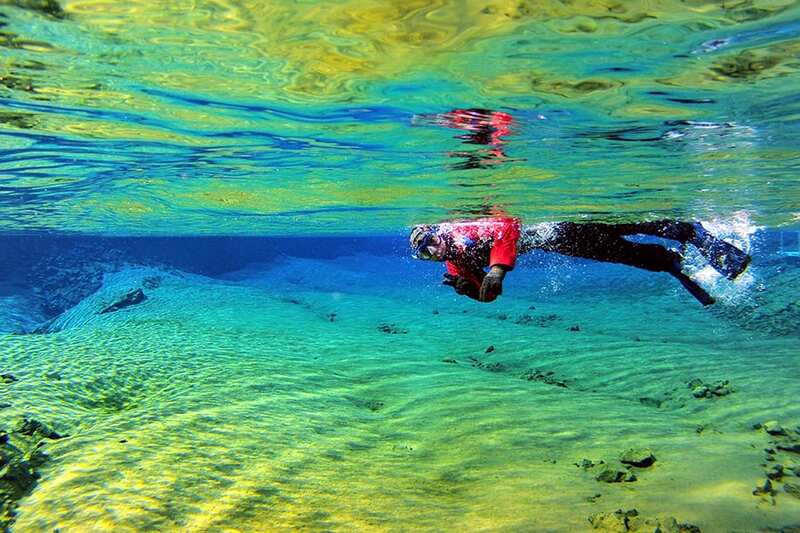 Instead of just floating heavily on the surface like you do in a drysuit you will be able to dive into the fissure in the wetsuit. No diving experience or diving license is needed. 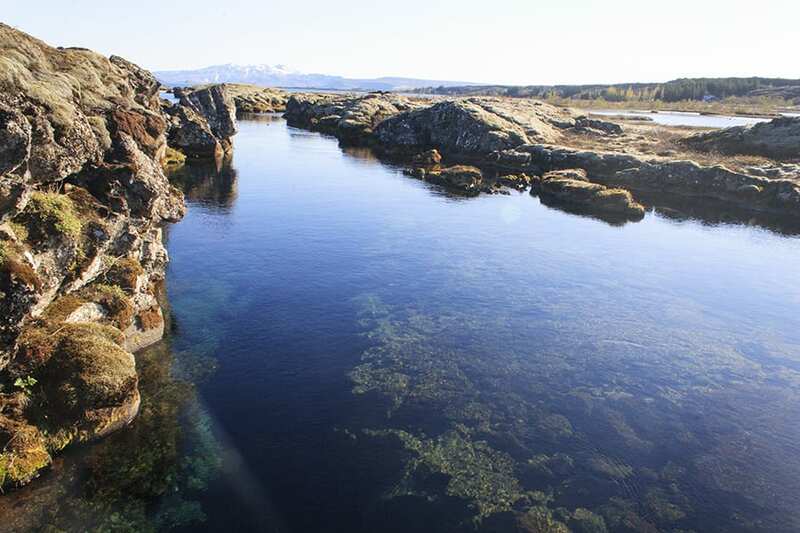 For those who do not require pick-up service and are meeting us on location, the meeting point is Silfra car park in Thingvellir National Park. 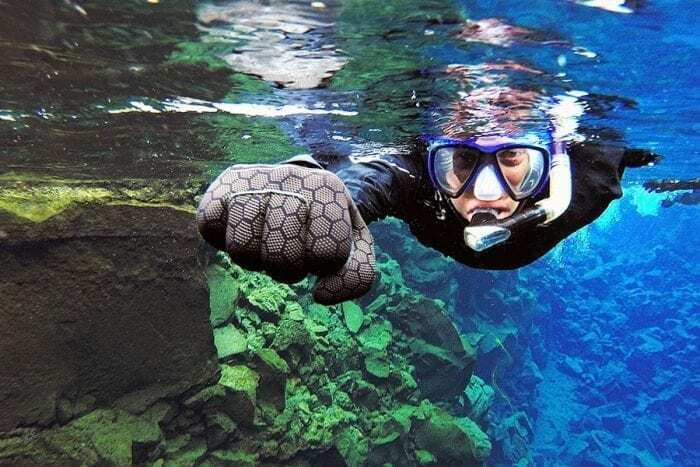 Please park your car at “Thingvellir P5” parking lot and walk 400m back along the road to Silfra car park – where all the snorkel and dive vans are – and look for your Adventure Vikings guide. Please be there, ready to meet your guide before the start time of your tour. For GPS: 64°15’23.508″N 21°6’58.676″W The check-in at Silfra car park, Thingvellir begins 15 minutes before your tour is due to begin. Check-in closes at the start time of your tour. Late arrivals cannot be guaranteed participation nor refunds. Adventure Vikings will review late arrivals situations and make a determination on a case by case basis. We therefore kindly ask you to review the driving directions to Silfra, respect the challenging Icelandic weather and road conditions, and to contact us ahead of time if you anticipate any problems.